Is 2016 going to be the Year of the Injury? It’s sure starting to feel that way. San Diego lost its second key offensive player to a torn ACL in as many weeks, with Danny Woodhead joining Keenan Allen on injured reserve. And the Browns have seen their starting quarterback injured in each of the first two games, forcing an untested rookie into action in Week 3 (more on that in a minute). And then there’s Adrian Peterson, James Stewart, Donte Moncrief, Arian Foster… you get the idea. But for every NFL injury, there is a potential fantasy silver lining. That backup stashed on your bench or that great find on the waiver wire. And for our purposes here, injuries can open the door to a variety of additional streaming options. So, whether you’ve been streaming with us all along or have been forced into that role by an injury, welcome. We’ll all get through this together. Here are some lesser-owned quarterbacks, tight ends, and defenses with sneaky fantasy appeal in Week 3. Ownership percentages noted are representative of ESPN standard leagues. Become a Member at Gridiron Experts! 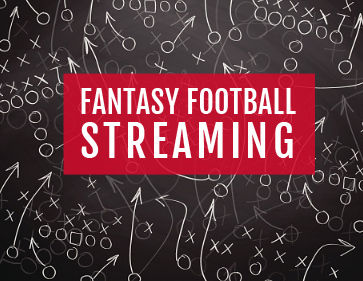 Get Daily Fantasy Info, Full Opportunity Index Data, Expert Advice, Insider Tips and the Best Fantasy Football Projections to Dominate Your League! That’s not all, get Gameday Live chat, direct email Q&A, fantasy rankings and premium articles, you’ll have an insiders edge to trading and making the best moves this season! Okay, so Prescott still hasn’t thrown a touchdown pass in the regular season. But he also hasn’t thrown an interception and he’s coming off a very efficient 22-of-30 performance in Week 2, piling up 292 yards passing and adding a rushing touchdown in a win over Washington. Prescott faces a Bears defense in Week 3 that is allowing 26 points per game over the first two weeks of the season and will be without nose tackle Eddie Goldman and linebackers Lamarr Houston and Danny Trevathan, all of whom were injured on Monday night. 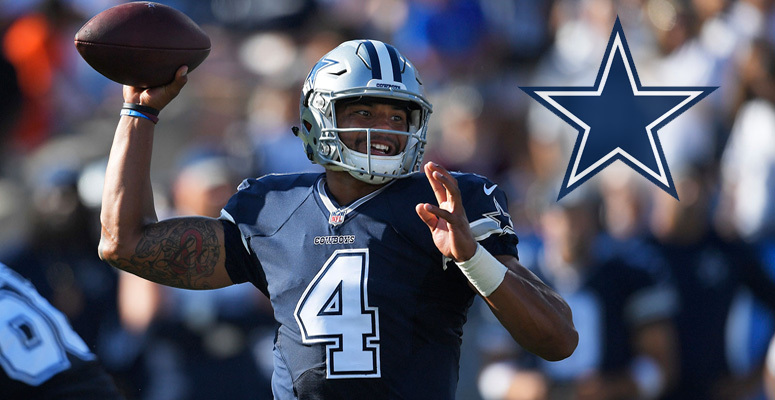 Dallas is a seven-point favorite at home and Prescott should continue to build momentum against a banged-up Chicago defense. Fitzmagic exploded for 374 yards passing last Thursday against the Bills, completing better than 70% of his passes and regularly finding his receivers for big gains. Brandon Marshall is nursing a knee injury and could miss this week’s matchup in Kansas City, but Fitzpatrick will still have enough weapons to make some fantasy noise in Week 3. Eric Decker has scored a touchdown in six straight games dating back to last season and second-year receiver Quincy Enunwa has 13 catches for 146 yards and a score over the first two games of 2016. The vaunted Chiefs defense has been just average to start the year, while the once-mighty Jets defense is giving up 27 points per game. That could translate to an unexpected shootout on Sunday, with Fitzpatrick putting up a second-consecutive strong fantasy effort. Through the first six quarters of the season, Tannehill was just 25-of-46 for 294 yards passing and zero touchdowns. But in the second half against the Patriots on Sunday, he completed 23-of-28 passes for 281 yards and two scores. I’ll grant you that Tannehill’s big performance came with the Dolphins attempting to dig out of a big hole versus New England, but he was really clicking with Jarvis Landry and DeVante Parker, and momentum can be a beautiful thing. It doesn’t hurt Tannehill’s chances of maintaining that momentum that he faces a Browns defense in Week 3 that is allowing 286 yards per game through the air and 27 points per contest. Look for Tannehill and the Dolphins to find additional success in their home opener on Sunday. Pop Quiz! Through the first two weeks of the NFL season, which Falcons’ pass-catcher leads the team in targets and receptions? It has to be Julio Jones… right?!? Amazingly, no. It’s veteran big man Jacob Tamme, who has been targeted eight times in each game, accumulating 11 receptions for 126 yards and a touchdown. Matt Ryan has always liked his tight ends and Tamme should continue to build on his early-season success this week against a poor Saints pass defense. New Orleans is giving up 336 passing yards per game – third-worst in the NFL – while the Falcons boast the top air attack in the league, averaging 355.5 yards. Start all your prominent Atlanta receivers, including Mr. Tamme. Is tight end streaming as easy as picking on the Lions? Through two games that has been a sound strategy, as Detroit is giving up the most fantasy points to opposing tight ends, including 15 catches, 179 receiving yards, and four touchdowns. Enter Cook, who was a popular sleeper pick this preseason thanks to the transition from a career full of mostly hot garbage at quarterback to Aaron Rodgers. Cook has always had a tantalizing combination of size and speed, but failed to find any kind of consistent fantasy success with guys like Rusty Smith, Kellen Clemons, and Case Keenum throwing him the ball. Cook missed all of OTAs and much of the preseason following foot surgery in June and was a non-factor in the opening week of the season. But, he saw six targets this past Sunday and should be able to build on that with a tasty matchup against Detroit. Over his last 16 games, Pitta has been targeted 109 times for 77 catches and 795 yards receiving. Unfortunately, that 16-game stretch dates back to November of 2012. But, streamers live in the precious present and worry not about Pitta’s long-term durability. He’s leading the Ravens in targets (16), receptions (12), and yards from scrimmage (141) this season, and seems to be the most stable offensive weapon in Joe Flacco’s arsenal. This week’s opponent, the Jaguars, have limited yards through the air over the first two weeks of the season, but have conceded six passing touchdowns, just one off of the league lead. Pitta’s combination of heavy involvement in the offense and decent chance of finding the endzone make him a perfect steaming option in Week 3. Remember the comment above about untested rookie quarterbacks? A few of them will take the field in Week 3, but perhaps none has the deck stacked against him so firmly as Cleveland’s Cody Kessler. After losing Robert Griffin III and Josh McCown to injury in consecutive weeks, the Browns will turn to Kessler under center on Sunday’s trip to Miami. The rookie did not look anywhere close to NFL-ready during the preseason, but will be forced into action nonetheless. The Dolphins were torched by Jimmy Garoppolo this past Sunday, but had a nice showing in Seattle for the season-opener, allowed just 12 points while recording three sacks and two turnovers. Cleveland has already given up six sacks on the year and could be a total mess on offense in this one. The Buccaneers have allowed 64 points in two games and have yet to record a turnover… so naturally they make the steaming list for Week 3! Well, this pick obviously doesn’t come without risk, but when you are playing a team that has yet to score a touchdown in eight quarters of NFL football, there’s certainly defensive upside to be had. Tampa welcomes the Rams “offense” to town on Sunday, with L.A. averaging just 234 total yards per game and having scored a whopping nine points… combined… in two games. The Rams are single-handedly setting back offensive playmaking by several decades, making Tampa Bay a decent streamer for the week. Here’s another case of a team not needing to be good at real-life defense to have streaming potential for fantasy purposes. The Cowboys are not a good defensive unit, but the team is trying to limit their opportunities to look bad by controlling the clock on offense. Dak Prescott and company should be able to do just that against a battered Bears defense this week. And when Dallas does take the field on defense, it will likely be against Brian Hoyer and a Chicago offense that is averaging just 271 total yards and 14 points per game while giving up a league-leading eight sacks across the first two games of the season.